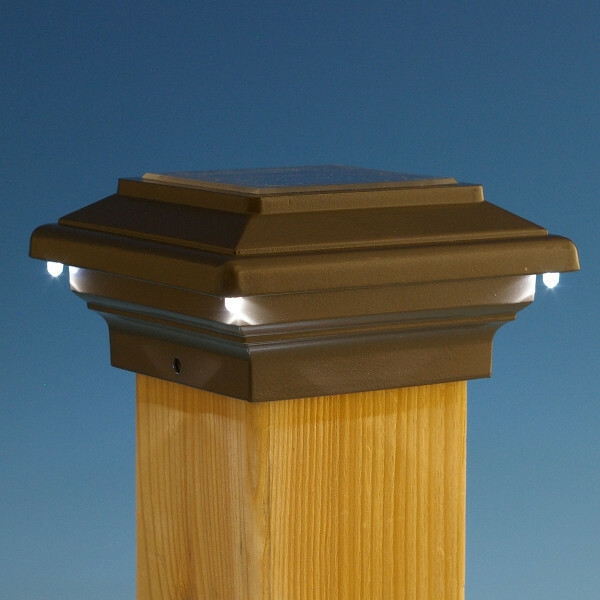 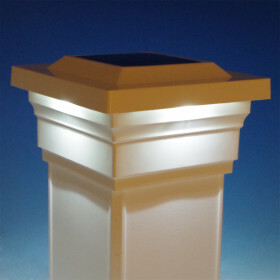 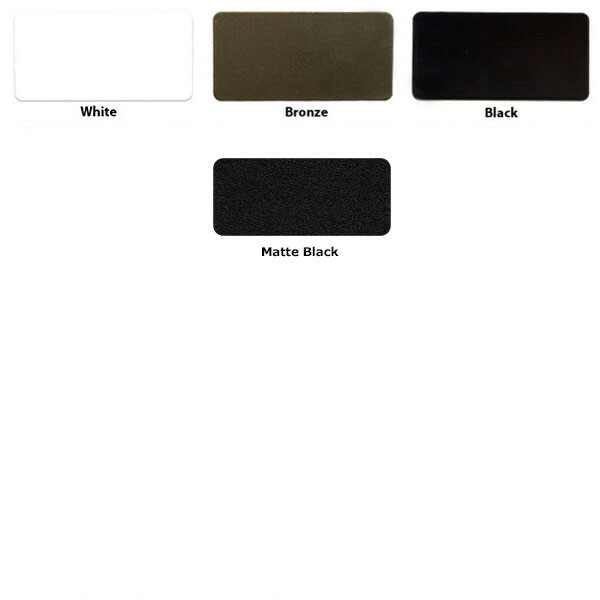 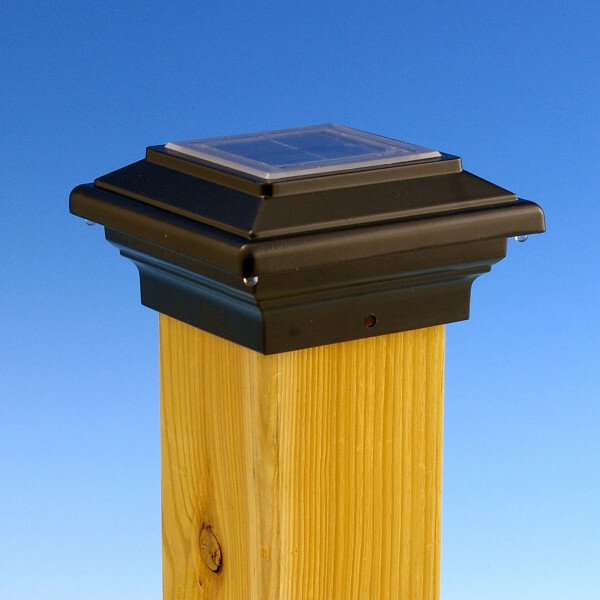 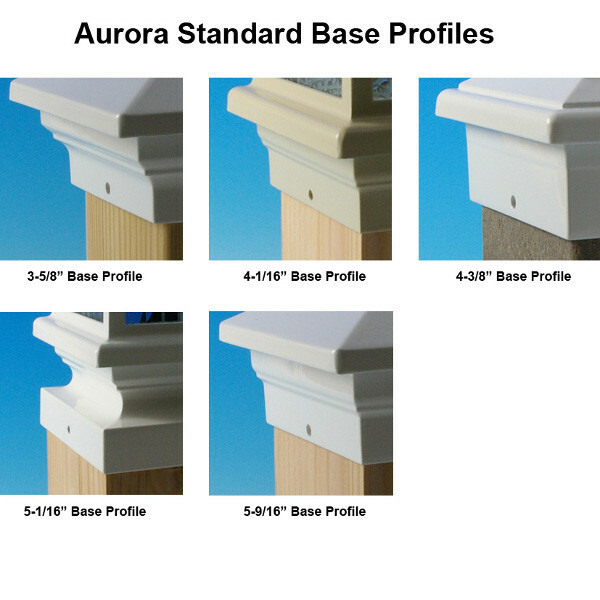 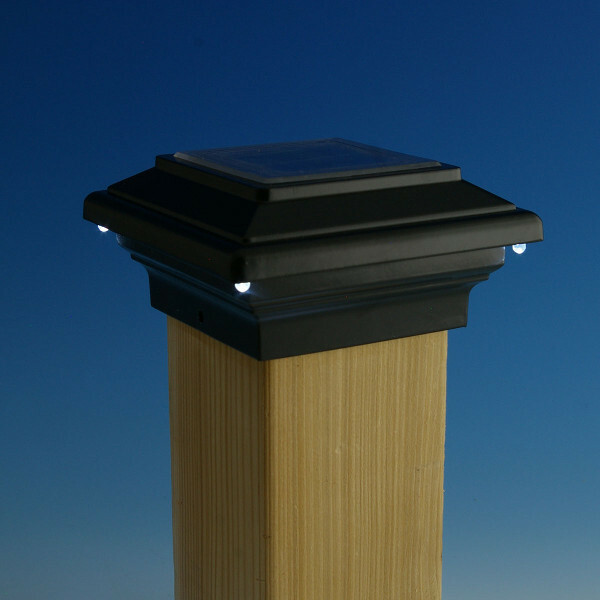 All the beauty of an Aurora Post Cap with the easy installation and dependability of solar lighting: the Aries Solar Deck Light features a durable powder coat finish, rugged aluminum construction, and four LED bulbs. 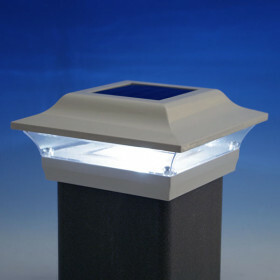 Just install and enjoy – the solar light turns on automatically at dusk and can shine for up to 8 hours at a time. 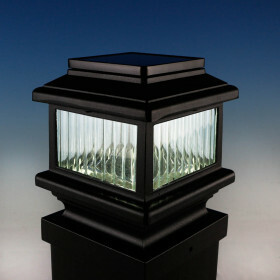 It all adds up to a classic look by day and ambient illumination by night.